“Though not intended, the disenfranchisement of some young voters and some electorate in the insecure north, as well as the low turn-out in the elections, are regrettable,” the Mission said in the four-page, 17-point declaration, read by a member of the ECOWAS Council of the Wise, Ambassador Leopold Ouedraogo. However, the Mission observed that the processes and conduct of stakeholders on Election Day showed “a marked improvement” over the Presidential elections of July/August, including the timely arrival of electoral officials, early delivery of essential materials and the orderly conduct of voters. Ahead of the second round of the legislative election in a few weeks' time, the Mission urged the relevant electoral management bodies to ensure adequate voter sensitization and early display of voters lists in polling stations. The EOM congratulated the political parties, candidates and the electorate for their peaceful conduct in the electoral process, and encouraged them to show the same maturity during the processes of collation and declaration of results. “The ECOWAS EOM is convinced that the conclusion of the legislative elections will endow Mali with another legitimate platform to spearhead the on-going reconciliation and reconstruction efforts. 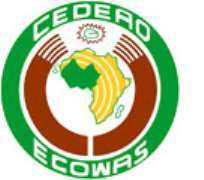 It reiterates the commitment of ECOWAS to accompany Mali in these processes,” the Mission said. More than 6.5 million registered Malian voters went to the polls on Sunday to elect members of the country's 147-seat Parliament. The deployment of the ECOWAS Observation Mission is in furtherance of efforts aimed at helping Mali conclude the ECOWAS-facilitated transitional road map for the restoration of full constitutional order and the country's territorial integrity following last year's military coup and separatist insurrection in the north.